Portal Users are able to see contact records which they do not have access in Global Search results in Orgs where "Enabling Sharing Sets for Power Portal Users " perm is Turned On. Your request exceeded the time limit for processing." Search result will show contact records of other accounts. 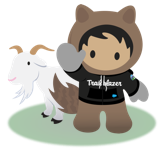 Please reach out to Salesforce Support to disable the Permission "Enabling Sharing Sets for Power Portal Users "
Messages when portal users perform a sidebar or advanced search.